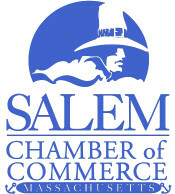 Looking to get your news and events published in the Salem Chamber of Commerce's eNewsletter? Look no further! Please fill out the form below including the title of your news or event, the date (example Friday July 3, 2019), a short description (100 words), time, location, and a point of contact or web link with further information to refer people to. If you have any questions please contact the Chamber staff at 978-744-0004 or email your news or events item in the same format as below to info@salem-chamber.org.